The button is slim and narrow and does not require an electrical box. These features allow it to be mounted in small areas, such as on a doorframe or other tight locations where space is a minimum. The Stopper Station Slim Line can be used for an exit door, access control or as an emergency power off button. Some examples of custom labels include: “exit”, “push to exit”, “push to open”, “push to close”, “call for help”, “push to turn off” or “power off”. 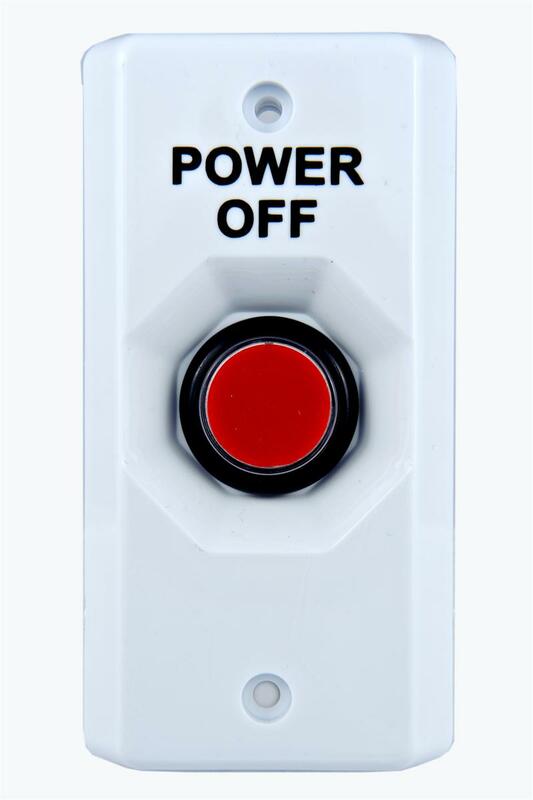 The Stopper Station Slim Line has a momentary illuminated push button available in red or blue. The form “C” switch contacts are protected by a plastic collar and includes a 5 lead wire for easy connection. The LED bulb is standard 24 VDC or a 12 VDC version is also available upon request. The Stopper Station Slim Line, SL-2000 series, will help aid customers in need of a multipurpose button for narrow areas. Button fits in small, narrow areas such as on a door frame. Has a momentary illuminated push button. Standard 24 VDC LED or a 12 VDC version is also available upon request. Plastic collar protects switch contacts. Form “C” contact rating 30 VDC 5 amps. Includes a 5 conductor lead wire for easy connection. Standard illuminated momentary button is red (blue also available). Custom labeling available. Limited to two lines, eight characters each. Housing unit color choices include: white, green (see SL-2107) or blue (see SL-2407).